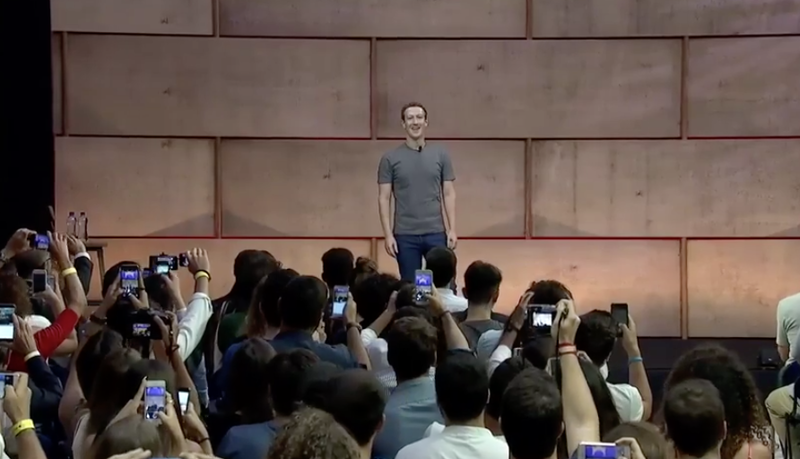 Zuckerberg: Virtual Reality will be the Most Social Platform Ever! Clearly, Zuckerberg sees VR as a huge boon for social but even more for advertising where it is believed to have great potential. According to research by Digi-Capital augmented reality and Virtual Reality are predicted to be a $150 billion industry by 2020. That’s why so many companies are focusing on VR and AR including Google. Facebook recently bought another small VR startup called Two Big Ears, which helps bring an immersive audio experience into VR and AR. Facebook is calling it the Facebook 360 Spatial Workstation which can be downloaded for free. He noted the differences between virtual reality where you feel completely immersed and augmented reality where you are adding virtual elements onto the world. Zuckerberg predicts that AR will come to mobile phones first “before we get some kind of smart glasses that overlay stuff on the world.” He says that we going to see more apps like Pokemon Go and that Facebook itself tested a form of AR with its Masquerade Filter that was test launched at the Olympics in Brazil and in Canada, where people could support their country by putting face paint on. “I feel there are going to be a bunch of tools like that overlay real things from the world on top of your experience and help you share things that we are going to see soon,” says Zuckerberg.